A Spanish-Italian archaeological mission has discovered a complete symbolic tomb of the god Osiris with multiple shafts and chambers at Al-Gorna necropolis on Luxor’s west bank. Minister of Antiquities Mamdouh Eldamaty told Ahram Online that the discovery is important because the newly discovered tomb is a small version of the design of the Osirion found in Abydos in the Upper Egypt city of Sohag. Abdel Hakim Karar, head of Antiquities of Upper Egypt, explains that the newly discovered tomb can be dated to the 25th Dynasty and consists of a large hall supported with five pillars. Its northern wall has a hall with a rock-hewn staircase that leads down to a funerary complex where an Osiris statue is found in the core of a vaulted chapel. To the west of the chapel, said Karar, a funerary hall is found decorated with a relief depicting ancient Egyptian gods holding knives in order to protect the dead. 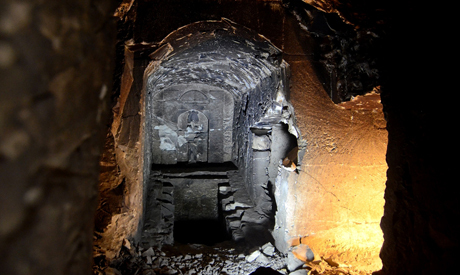 At the opposite side of the Osiris statue is another staircase leading to a nine metre deep shaft that leads to another chamber that has a seven metre deep shaft with two rooms full of debris. 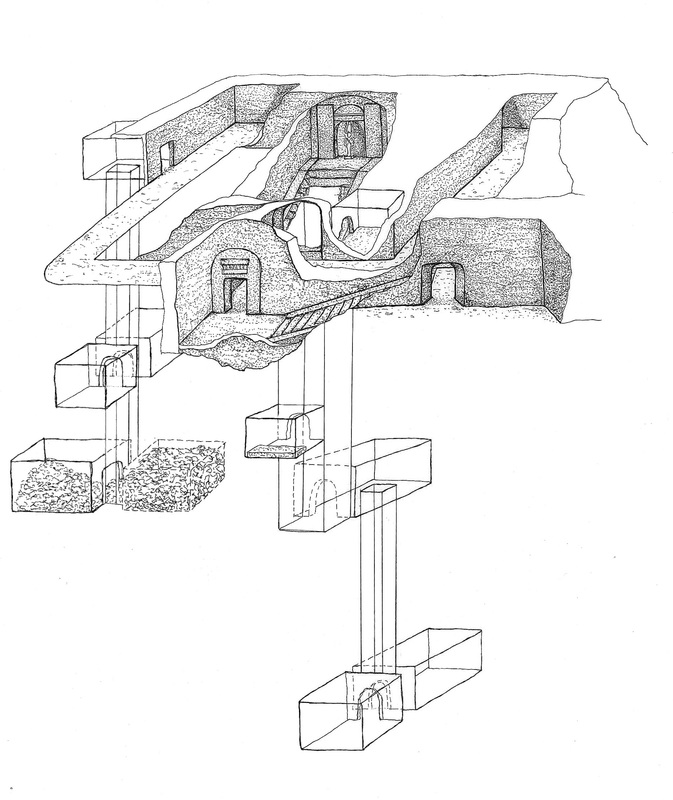 María Milagros Álvarez Sosa, head of the mission, said that part of the tomb was initially discovered by archaeologist Philippe Virey in the 1880s and some attempts were made to sketch out the main structure in the 20th century. However, it was not until recently that the full extent of the structure was discovered through excavation.